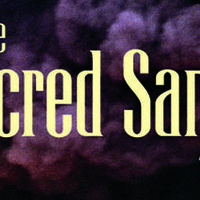 Geopolitics of Oil in Fiction: meet the author of "The Sacred Sands"
At its peak, crude oil represented half of the world’s energy consumption, and it remains the biggest internationally traded commodity. The petroleum industry has evolved under different price regimes, market organizations and power relations between the main producing and consuming countries and companies organizing the supply chains. While the geopolitics of petroleum in the twentieth century was determined by securing access to crude oil, currently it is perceived as a factor disrupting the supply of crude oil, especially from the Middle East, owning bulk of world petroleum reserves. So how important is the geopolitical economy of petroleum and what would be its role in the future energy landscape? The evolution of oil industry and, in particular, geopolitics of Middle East oil, where fundamental truths are best depicted in a novel, will be presented by its author Vahan Zanoyan, on a visit to Webster University. Vahan, will explain the complex relationships in the industry and how his vast personal experience as an adviser to oil companies, governments, investors and traders led him to write The Sacred Sands, ( see: https://www.amazon.com/Sacred-Sands-novel-Vahan-Zanoyan/dp/0998392405 ), a gripping novel that takes the reader inside the Middle Eastern oil industry and regional geopolitics. The presentation will be followed by comments from John Gault, a prominent international expert in the oil industry, with an interactive discussion moderated by Rouben Indjikian. This class is free and open to the public. Register Here.